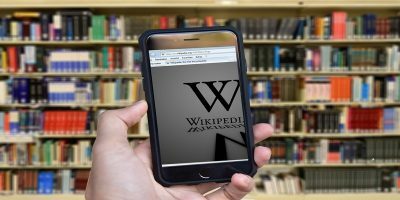 You can find tons of information regarding any topic on the Internet, but every website has its own way of displaying the information. Many websites offer a clean interface with one or two ads and a few content recommendations on the side. However, there are still many websites on the Web that will bombard you with ads, dialogs, videos, recommendations and whatnot. There are many tools that will help you make websites easier to read and help you focus on content that matters to you. Below we have listed three tools that you can use to clean websites and make them easier to read. Note: these tools are only made for decluttering information-based posts; they will not work on a software download page or the home page of a website (at least not as you may expect). Readability is an extension for Chrome, Firefox and Safari that will remove all the clutter including ads, recommendations, dialogs, social buttons, comments and almost everything distracting, and extract the actual content. It will only show the website name, the actual text content, photos/videos inside that content, and all the links in it. All you have to do is install the extension in your favorite browser and then open any article on the web. Click on the Readability extension button and select “Read Now.” The page will refresh after a delay and all the clutter will be gone. Readability is available for Android and iOS devices as well. If you are a Firefox user, then you don’t need any third-party tool to make websites easier to read. Firefox comes with a simple Reader View button that lets you declutter a website similar to what Readability can do. When you open a webpage in the browser, a “Book” icon should show up in the Firefox address bar. Click on this icon, and Firefox will immediately clean the website and show only the main content. Just like readability, you can change font style, size, layout and even the background. The articles can also be saved to Pocket to easily view later and to manage your reading lists. Something I really liked about Firefox Reader View is that it very quickly makes a website easier to read unlike Readability. For me it took less than a second to declutter all the articles I clicked on, but Readability took two to three seconds. 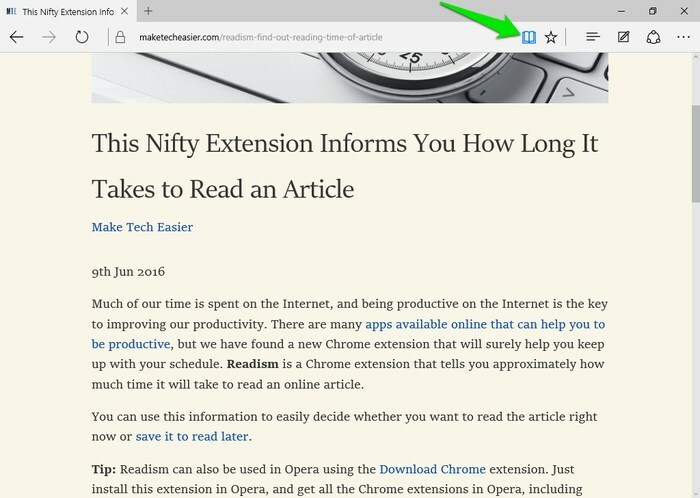 Similar to Firefox, Microsoft Edge also comes with a built-in reading view that is fast and reliable. 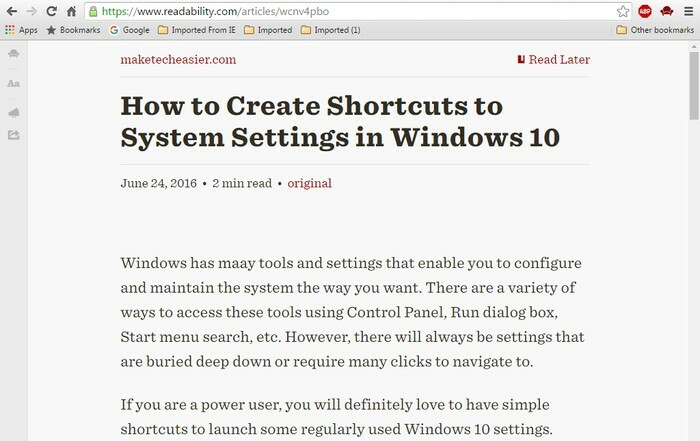 When you stumble upon an online article, Edge will show a “Book” icon in the address bar. Click on it and it will remove all the distractions and show the content in focus. 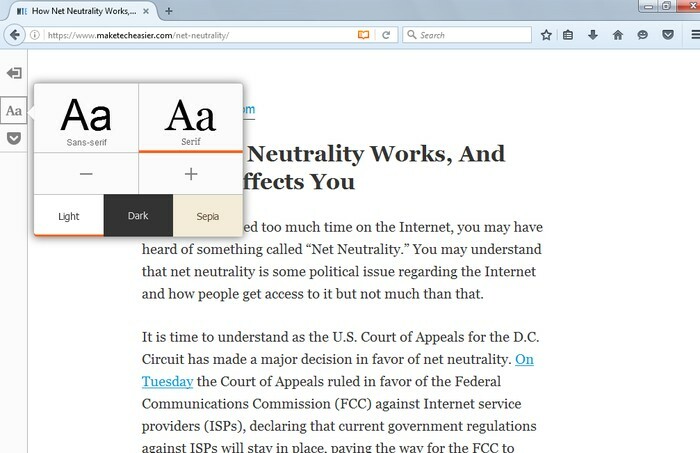 Unlike Firefox Reader View and Readability, Edge doesn’t offer any customization options. You will only get an easy-to-read webpage without any options to save or customize its look. It is also quite fast, just like Firefox Reader View. These days web designs have completely changed, and users are being bombarded with information that is really hard to absorb. Using an easy-reading tool can make things much easier. 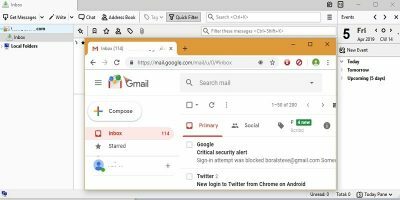 Readability is a great multi-platform option if you are looking for customization and handy tools, but if you are a Firefox user than the faster built-in option is much better. How do you make websites easy to read? Let us know in the comments. I tried readability ages ago and while nice… I was often half-way through an article before I thought to activate it. From the summaries above, it seems none of the tools have an option to directly access a site in ‘read-friendly’ mode w/o the need to reload. I haven’t seen a tool that could do that, but I am sure it will be a really cool option. Doesn’t seems too hard to add though. 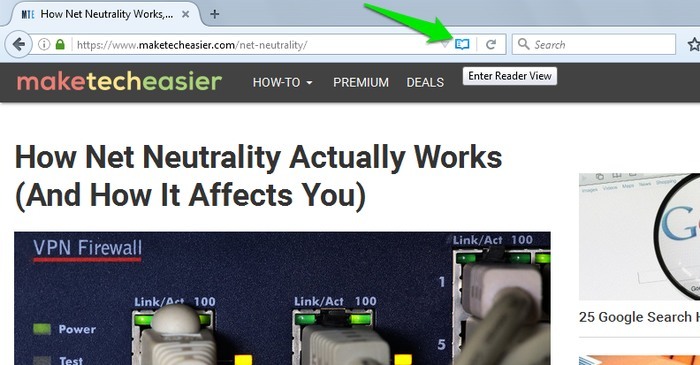 In reference to easier reading of web pages; have you not noticed in Safari the “reader view” icon, which is located at the left of the address window. It’s not an extension, but built in. Works on most pages, and on my MB Air, is lightening fast…a quarter second or so. I highly recommend it. 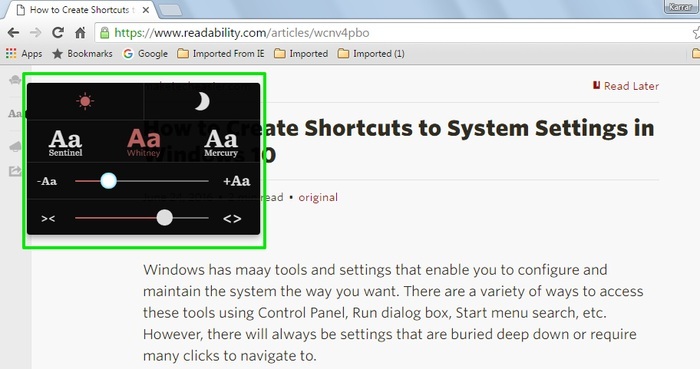 Just tried Readbility in Chrome but am a bit disappointed. 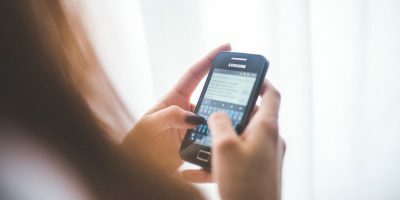 When viewing this article in read mode the headers disappeared and there is no easy way to leave the reading mode without been sent to their webpage to sign up. I really don’t understand why I should sign up for a simple tool like this. Compared to the build in solution in Firefox it is very slow to change to reading mode. 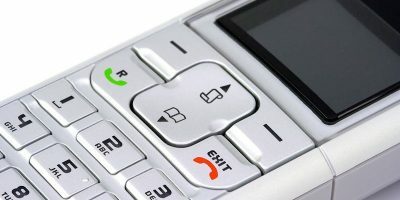 It requires 2 clicks EACH TIME you want to use it where FF has only one click and uses the same button to disable it again. I use Evernote’s Web Clipper, set to “simplified article” mode. It works very much like the other solutions, with the option to clip the article to a new Evernote with 1 click. 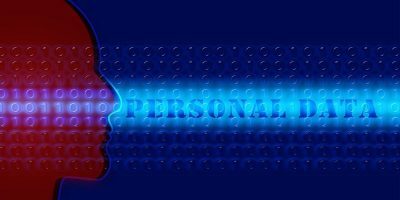 Is Incognito Mode the Answer to Your Privacy Concerns?